On Wednesday the 6th of May, 1st Dapto Scouts went to Alexander's Café to fundraise and learn some new skills. Here we had an opportunity to communicate and connect with the local community. 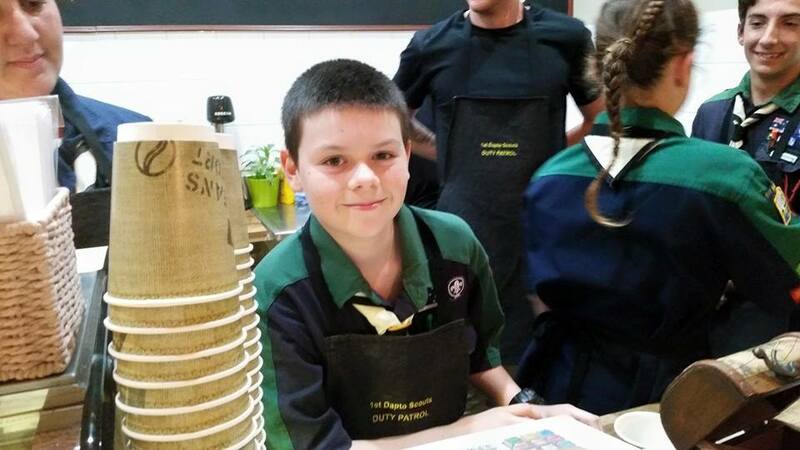 The purpose of the event was for 1st Dapto Scout’s to fundraise for the maintenance for our hall where we meet each Wednesday. Also, we are planning to purchase other equipment to keep our program going, including necessary repairs to the toilet block and the installation of an air conditioner. 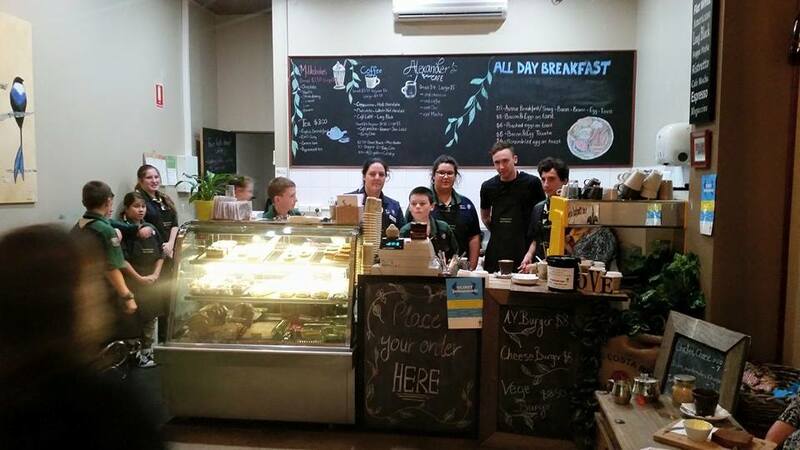 It was a great turnout, with many people coming to support us while enjoying a tasty bite. 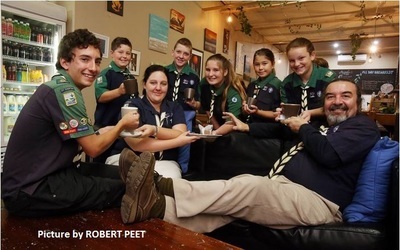 We placed tins on tables to encourage people to donate some money. Throughout the night people came and went while we worked in the kitchen, preparing food such as, tea and coffee, milkshakes, cakes and slices, breads and other delicious food. Demonstrating our skills of collaboration, we took turns to wash and wipe up, make coffees, serve food, sweep the floors, write down orders and operate the cash register. Everyone tried their best to be as friendly and helpful to everyone as we could. Ethan Thomson enthused, "My Favourite part was being able to meet everybody and I had that good feeling you get from being part of a team." 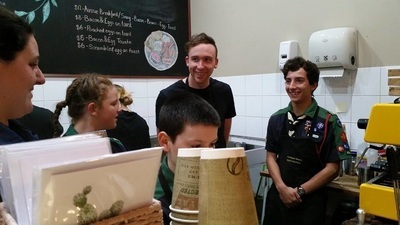 Emily McMahon noted that "It was really great to see the scouts so excited to serve their families, learning how to make coffees and milkshakes, toast banana bread and serve cakes. 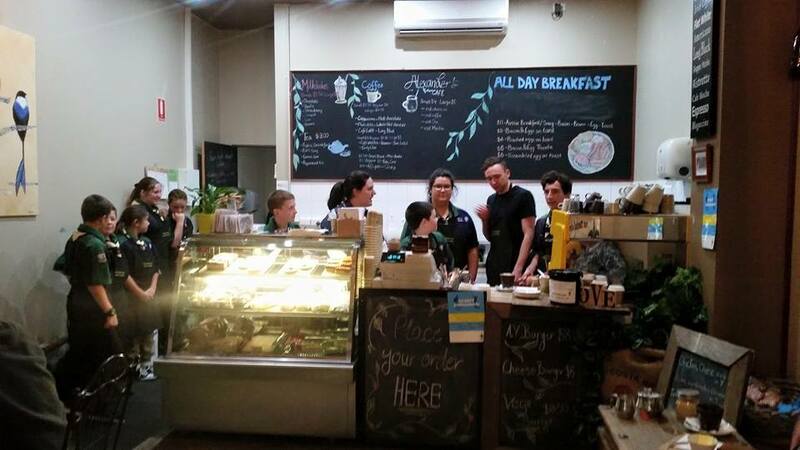 Everyone really got a taste of what it would be like to work in a cafe, and we made nearly $300 for our group as well." 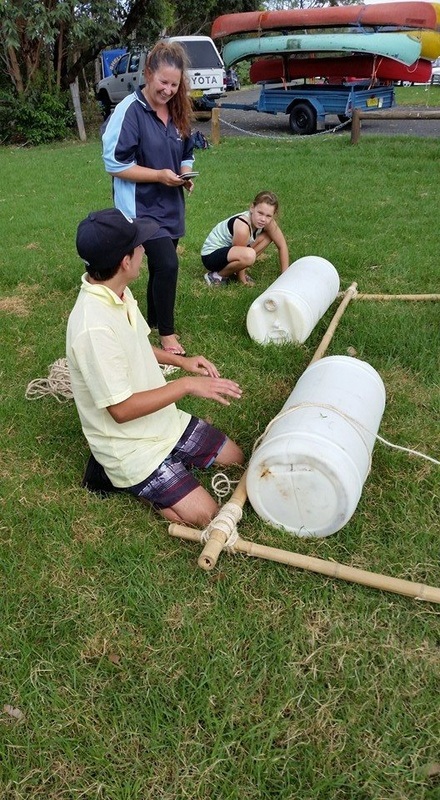 It really was a great team-building event where everyone lent a hand. In total, we raised $286.80 towards our group. Thank you to the many families, friends and others who came to support us. We are truly blessed to have people in Dapto come and help 1st Dapto Scout group out. 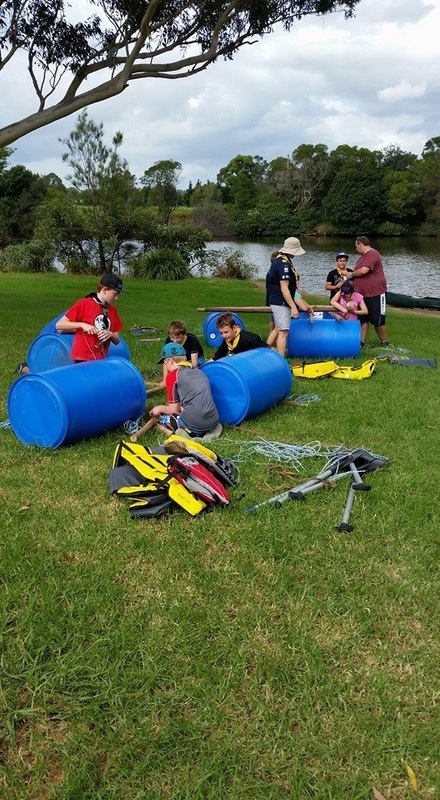 Sunday 15th March saw ~40 scouts from 1st Dapto, Dapto, 1st Shellharbour, 1st Warilla, and 1st Jamberoo scout troops down at William Beach Park (Mullet Creek) in Dapto for the Illawarra South Distric Rafting Day. 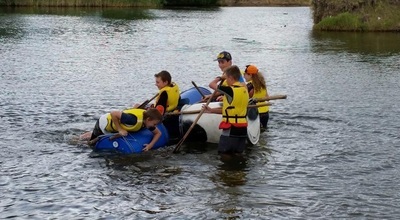 Patrols of 4-6 scouts were supplied the equipment to build a raft of their own design. 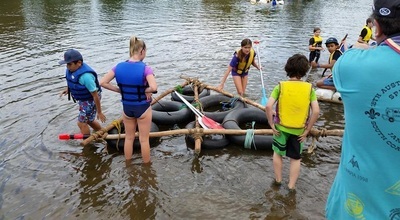 Some patrols took their time constructing very sturdy rafts. Others rushed and subsequently had to rebuild their raft several times. Once their rafts were seaworthy (mostly...) it was a race to collect point flags that were placed around the bank. Easy flags earned you 1 or 2 points. Difficult flags were 3 or 5 points. 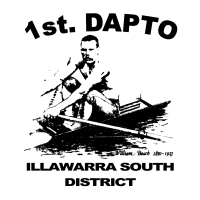 Once all the flags were collected the points were tallied and the winners were the Puff Daddy patrol from Dapto. 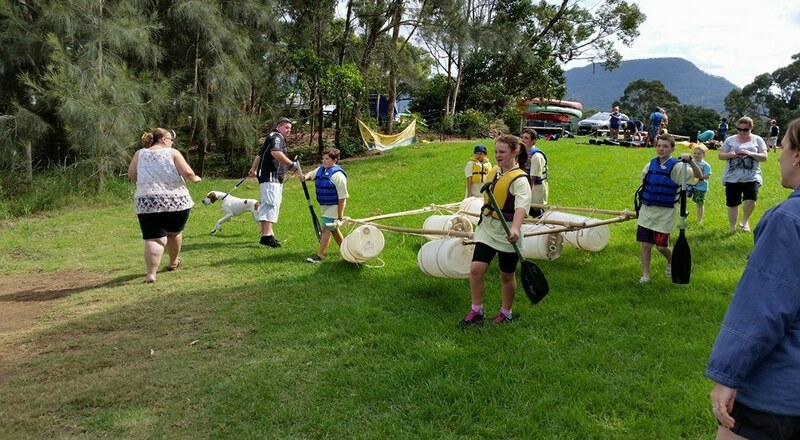 Scouts, leaders and parents alike had a great day. Scouts - Below is the worksheet for the hourglass tower construction project we did this Wednesday. 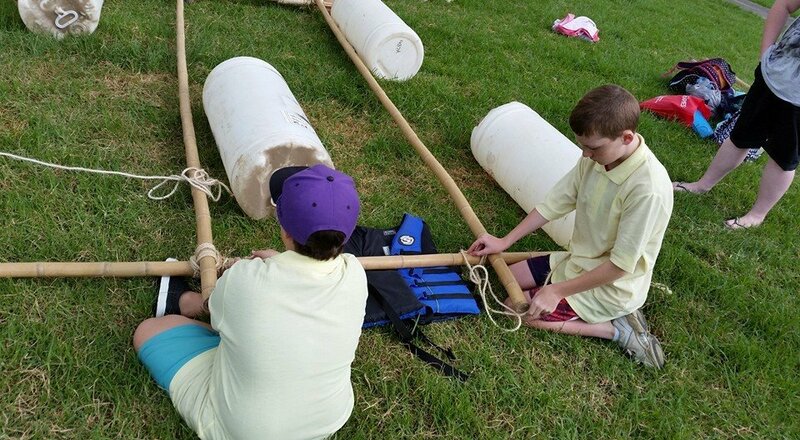 The program and all of the permission notes have been uploaded. Please make sure you download them and hand them in on or before the due date (this is marked on both the individual forms and on the program). 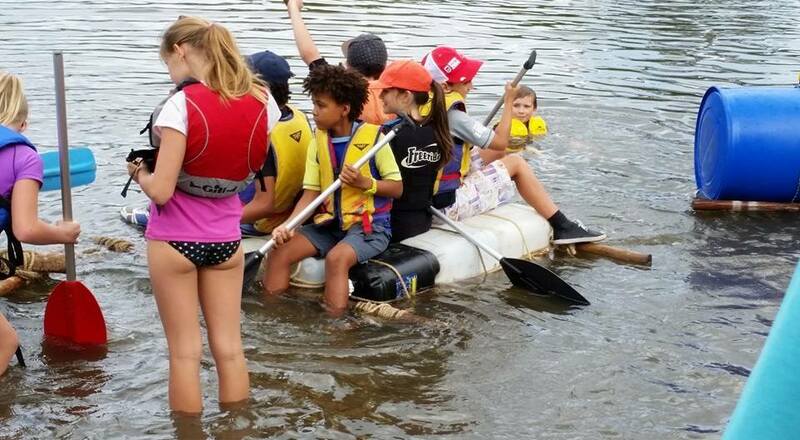 Late notes/money can mean activities may need to be cancelled, or your child may not be able to attend. If you have a problem printing the note contact a leader in advance and we should be able to print one out for you. Similarly, if you are short on money and can't afford an activity, please speak to a leader before the due date and we can try to make arrangements.